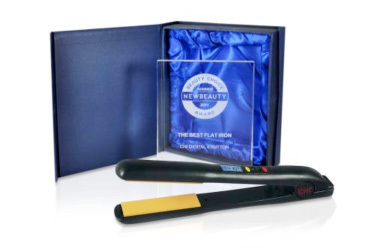 For the second consecutive year, NewBeauty magazine has named the CHI Digital 4 Button Hairstyling Iron as Best Flat Iron of 2011. The annual awards bestowed upon the best beauty products on the market and are voted on by beauty-conscious readers of NewBeauty, top beauty experts and editors of the publication. CHI Irons have also been awarded USA Behind The Chair Stylist Choice Awards winner "Favourite Flat Iron" for the last six years running. This award is voted for by hairdressers across the USA. In addition the new CHI Iron has just been voted USA Teen Vogue "Best Hair Tool" for the second consecutive year. CHI Irons have an astonishing 70% market share in the USA, and are used on just about every film set in Hollywood. The CHI Digital 4 Button Hairstyling Iron is made in the USA and comes with a 2 year warranty. To place your order phone 1300 557 517.